We all know that many purchasing decisions, even for items that don't cost an arm and leg, aren't made at the spur of the moment. This is very bad for PPC � you pay for clicks, get the clicks, the visitor becomes interested in what you offer but because he or she needs more time to think whether to buy or not, he or she just goes away. In some cases visitors bookmark your site or simply remember what you offered and come later to buy but these cases are more of an exception than a rule. 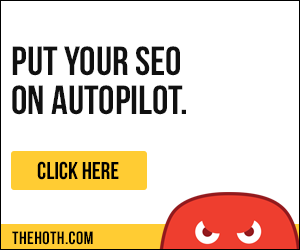 What you end up with is money spent on clicks and visitors who walk away. Of course, if there are clickers who convert on first visit, you are not into the red but how can you forget about all these lost sales? The good news is that with AdWords you don't have to forget about them. AdWords offers an advanced feature called Remarketing or Retargeting. Essentially, it allows you to show on other sites ads to users who have already visited your website but haven't made a purchase. First, let's repeat that remarketing is an advanced feature, so while you are still a beginner, it might be really intimidating to use it (and you don't have to use it � after all, there are many other ways to lose money). In order to launch retargeting, you first set Audiences. In the left pane of your AdWords account you will see an entry called Shared Library. Click it and when it opens, click the Audience entry. Now click on the tag to get the code you need to place on your site. Here is more about tags. After the tags are set, you may want to set a new campaign. Repeat the steps but this time choose Select from Existing Tags. When you have Audiences set, you can move to Combinations (a collection of Audiences). To do it, click on New Audience but now select Custom Combination. Enter the name and set the rules and this is for now. Then you need to create the ads themselves. You do it as you would normally do but you pick no keywords, placements, etc. If you really miss them, you can add them later but for now they will be more of a hindrance than a helper. After that choose the Audience and Combinations tabs for the ad, save the choices and you are ready to run your first remarketing campaign. Unlike normal Search and Display campaigns where you usually bid on a pay-per-click base, with remarketing you can also bid on a CPM (per thousand impressions) base. If you bid on a CPC base, you can bid higher than what you normally bid because retargeted visitors tend to convert better. When you bid on a CPM basis, you aim to reach more people and to build your brand rather than make immediate conversions. Start with $1 CPM and see if this buys you enough impressions. For competitive markets you might have to start with $2-5. When bidding on a CPM basis beware that you don't stalk your users with way too frequent impressions. If you target 1,000 people, aim at 5 to 10 impressions a day for each of them because otherwise you will piss them off. All these numbers can be set from the Advanced Settings tab. How Do I Measure Remarketing Effect? Direct conversions. Your direct conversions, even though no remarketing is mentioned there explicitly, show it's working. View-through conversions. This metrics is most directly related to remarketing efficiency. A view-through conversion means that a user saw your remarketed ad and sooner or later made a purchase. Unfortunately, this metric is not applied to text ads. In order to make correct calculations, some advanced techniques are used, so for a beginner this indicator is not suitable. Path length. Path length measures the number of clicks (or impressions) a user needs to make a sale. The rule here is the shorter, the better. However, they track only ads on Google.com, so if you are using other sites, the results will be very inaccurate. The Path Length report can be found in your Google AdWords account under Tools and Analysis -> Conversions -> Search Funnels. Time lag. Time lag is another indicator that shows how much time has lapsed from impression to purchase. The Time Lag report can be found in your Google AdWords account under Tools and Analysis -> Conversions -> Search Funnels. New vs returning visitors. If you use Google Analytics to track users, the new vs returning visitor indicator could also help. You can access the feature from Audience -> Behavior -> New vs Returning. The rule here is that if your remarketing efforts are successful, the number of returning visitors will go up big time. For a beginner, remarketing is a tough job but once you master the AdWords basics, then you might want to move on to remarketing and other advanced tricks. If you will do it, the next chapter offers some more advanced tricks to make the most of your AdWords campaigns.